All balances must be paid in full before delivery. Availability of merchandise is estimated according to information on hand at the time order is written. Seller shall not be held responsible for delays in delivery of merchandise occasioned by manufacturer's scheduling, stock on hand, availability of materials, transportation difficulty or any other cause beyond the control of the seller. A storage fee of 5% of purchase price will be collected if merchandise is not taken within 30 days of purchase date. Please call 48 hours in advance for pick up. Buyer assumes all risks associated with transportation of merchandise picked up. All sales made in-store or online are final. There are no returns or exchanges. All cancellations are subject to seller approval. In the event which an order has not been picked or delivered from Jem Furniture a minimum fee of 30% (re-stocking fee) of the purchase price will be assessed on seller approved returns, exchanges, or cancellations. Special orders are not subject to cancellation. We require a 30% deposit for special orders. Deposits are non-refundable. Buyer agrees to measure doorways and stairways before ordering, as seller is not responsible for merchandise purchased that is too large to fit. An authorized adult must be present at time of delivery to receive and inspect furniture and sign for delivery. Buyer is responsible to protect floors and old furniture in room. Seller makes no warranty beyond any written description itemized on orders. Such disclaimer does not affect manufacturer warranty, if any. Manufacturer warranty's cover manufacturer defects only. Accidental damage and wear and tear from in-home use are not covered under manufacturer warranty. Customer modifications, neglect, abuse, damage from added fabric protection, water damage, fabric fading or discoloration from sunlight, natural wood grain characteristics, piling, wrinkling, or use of furniture not used as designed are not covered and may void manufacturer warranty. Mattress manufacturer warranty covers manufacturer defects only and is not a comfort warranty. No warranty for as-is items. All warranties are "carry-in" warranties. Buyer must bring merchandise to store location and seller will transport merchandise to manufacturer. Buyer must pay delivery fee if requesting for Seller to pick up item for warranty purposes. Bedroom, dining room, living room, and any wood/case good products have 90 day carry-in warranty by the manufacturer. Upholstery, motion, leather and other seating furniture have carry-in warranty by the manufacturer. 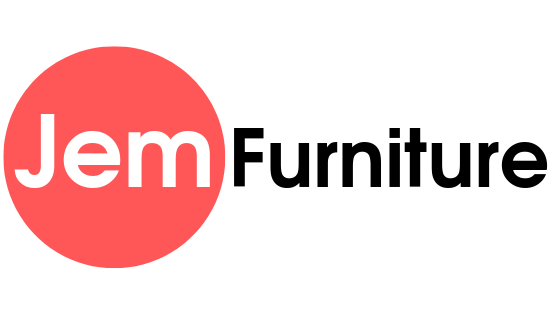 Jem Furnitures' upholstery and wood products contain chemicals known to the State of California to cause cancer, birth defects, or other reproductive problems.